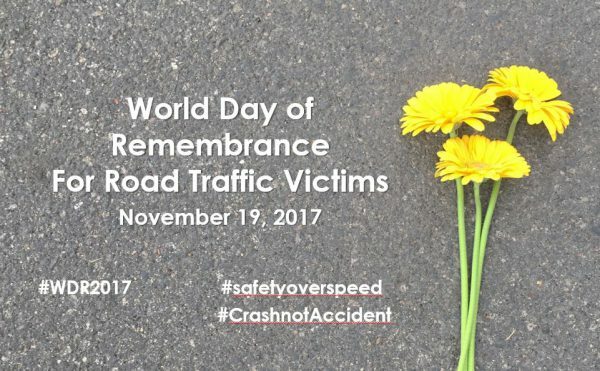 Please join us for Safe Streets JC’s event recognizing World Day of Remembrance for Road Traffic Victims, the annual international UN recognized day of commemoration of those lives lost on our roads. In Jersey City, we have lost 13 lives this year alone. We are gathering to honor all of these lives, comfort the families and show our solidarity to making our streets safer for all road users of all ages and abilities – especially for pedestrians and bicyclists. And to call on our leaders to keep this issue at the forefront. We need your support! * Signs and photos of loved ones lost to traffic violence are encouraged. Bikes are welcome! Free bike inspections & tune-up courtesy of Jersey Cycles and Bike JC.